Being a present parent and a productive writer is the hard, but achievable, balance I am striving for. I wouldn’t be honest if I didn’t say raising kids comes first, and so sometimes I have to say no to a really amazing project or that “I can’t” to a killer business trip. If I don’t keep that equilibrium that I love, I am just not positive and happy. Here are my best tips to be your most productive self while freelancing and being a mama. 1. Set Boundaries: Planning a career while raising children means that you are going to have to set boundaries. Working on your own time means that you need to be more clear on exactly what that means for you. For example: when you are working, you are working, period (see #3 for scheduling!). When you are with your children, you are being mindful, present, and in tune. 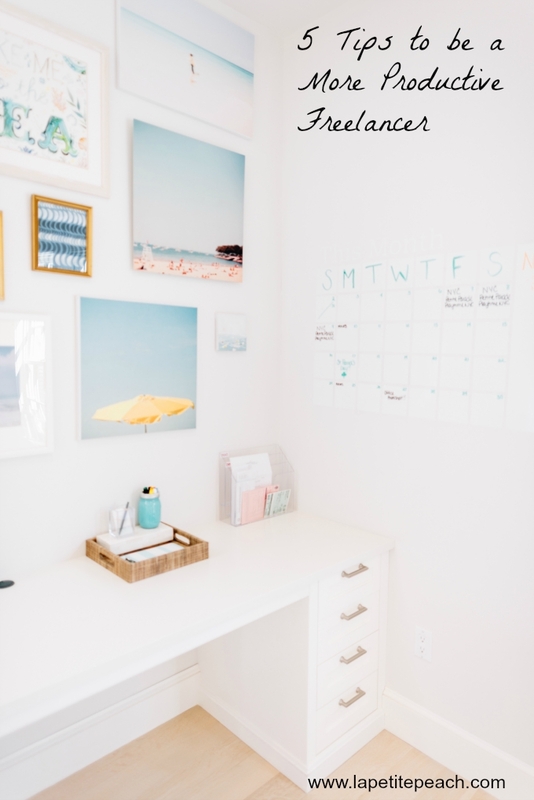 This takes major practice and work on your part but you need to be present with work and with your family to be the most productive you can possibly be. Both parties deserve your undivided attention. Establishing boundaries may also mean something as small as silencing your phone on Mondays or not taking conference calls before 12pm. Whatever your boundaries are, make sure you stick to them! 2. Have a Schedule: It doesn’t need to be rigid, but it does need to be clear. For example, I work first thing in the morning, during nap time, and then late at night. The times fluctuate, but they usually fall somewhere between 7-8:00am, 1-3:00pm and 8-11pm. Notice that when my kids are home or awake, I am absolutely NOT working. I have to be a mindful parent, it’s so important to me. You need to be clear about your schedule, but also have wiggle room for life, children, vacations and of course, girlfriends! 3. Be Productive: This seems like a no-brainer right? OK, well, it’s not that simple! Being productive means that you have boundaries, a schedule, and a plan-but MOST importantly—you are PRODUCTIVE during these times. This is why I allow for some schedule wiggle room in the afternoon, because if I am going to web surf during the hours of 1-3 while the kids are at school/asleep, then this is not using my time wisely (I really sound like a mom here don’t I?). If I need that extra energy then I take that nap. I might have to put more hours in another time, but that’s OK. You may not have time to rest, but you CAN take that lunch break, go outside and enjoy some fresh air. Here is the best explanation about being productive by the amazing Marie Forleo, watch here. 5. Mix it up: Hit up a local cafe to people watch and get your creative juices flowing. The best type of work happens with a cup of coffee and the buzz of a cafe. Staring at your work space for months in a row is not going to get you fired up to produce. Get out there and find a local spot with great WiFi! I hope these tips help you to be the best freelancer and creative you can be. Remember if you get stuck, tap into your tribe. Meet a friend or colleague to bounce ideas off of. Also, comment below, I would love to hear how you work!